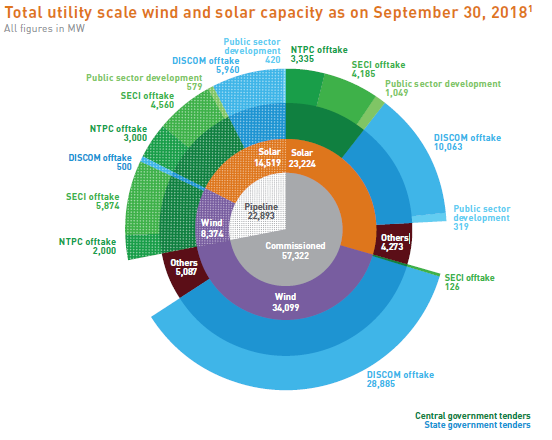 This is our first combined wind and solar info-graphic report. 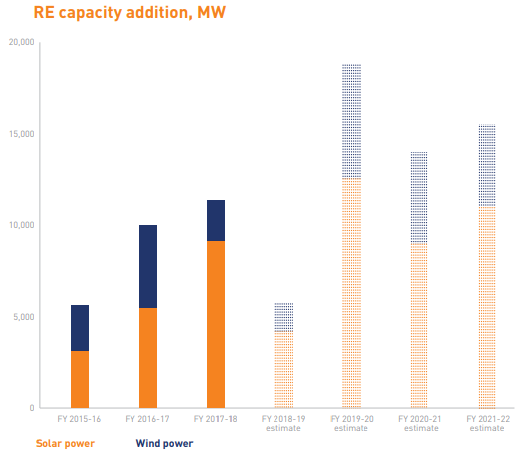 India added total utility scale wind and solar capacity of 9.5 GW in the last 12 months (down almost 20% y-o-y). The report provides a complete snapshot of the sector including installed and pipeline capacity breakdown by state, historic growth, leading states, key players and their market shares, tender results and our growth estimates for the next four years.